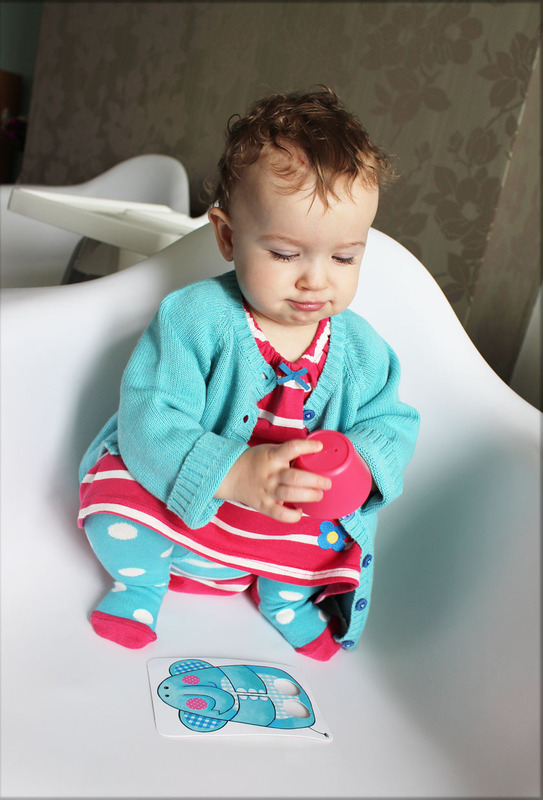 I almost forgot about this cute little outfit we were kindly sent as a thank you for being guest bloggers on Frugi's blog (read our post about healthy snacks for kids here). 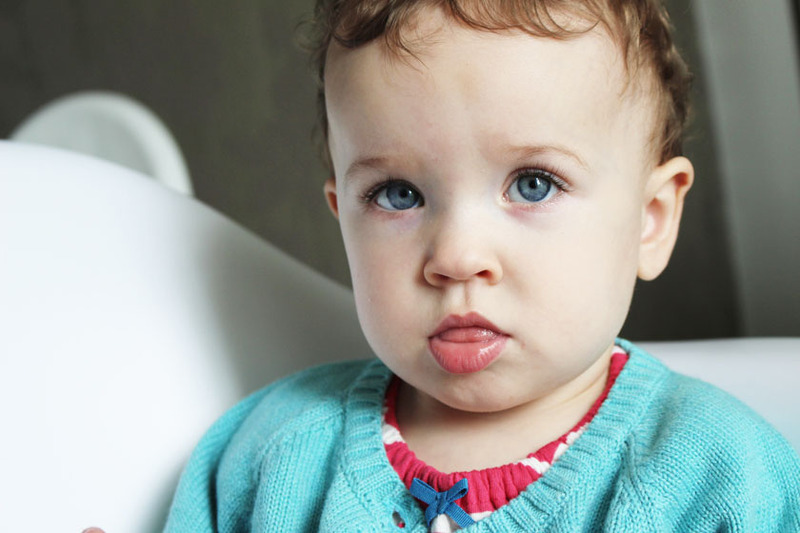 How adorable does Mia look in pink and blue? I am in love! All these items are actually on sale right now, just in case you want to treat your little one to some beautiful organic cotton pieces. Mia is wearing the Little Lola Dress in a lovely pink colour, with white stripes, a beautiful pony applique on the front and a bow at the top. The elasticated neckline makes it super easy to put on/take off which is ideal when you're dealing with a crazy little munchkin like Mia :) PS.She's wearing size 12-18 months right now. 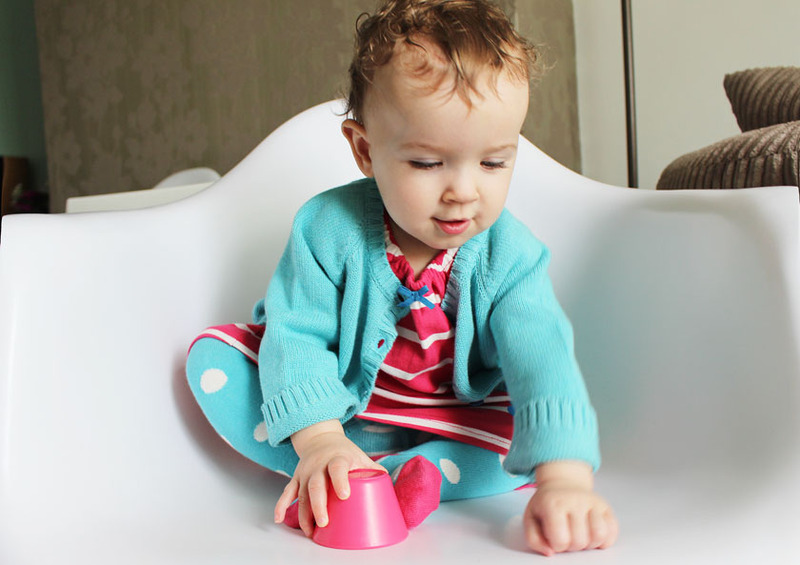 To go with the dress and cardi, we picked the Little Norah Tights in a turquoise colour with white polka dots and a pop of pink on the toes and heels. Soo, sooo pretty! 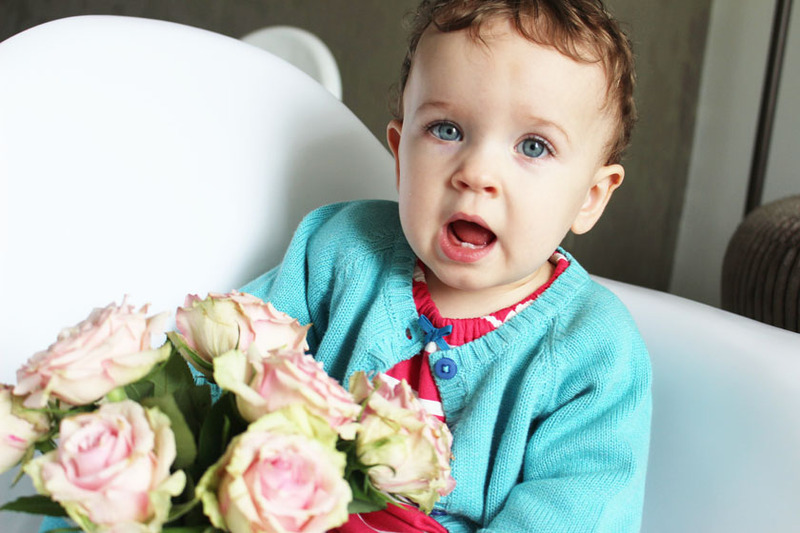 The Happy Day Cardigan is made with the softest organic cotton and the quality is outstanding! We've washed it many times already and it still looks brand new! It is perfect for the transitional period between Summer and Autumn and adds a gorgeous pop of colour to any outfit. We love it! Pulling more silly faces. My little ray of sunshine! She makes me laugh 24/7! 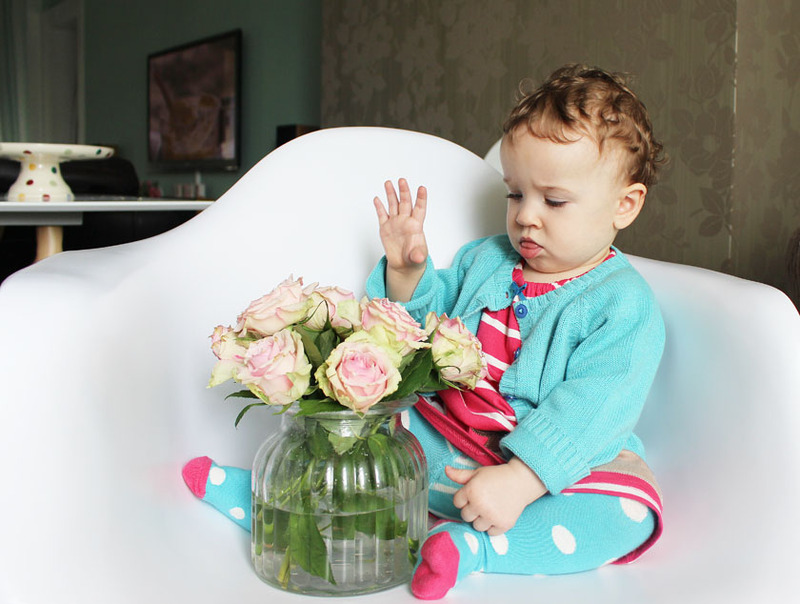 If you've never ordered from Frugi before, make sure to check out their sale here to see for yourself how well made and beautiful their clothes are. We can't recommend their lovely products enough!